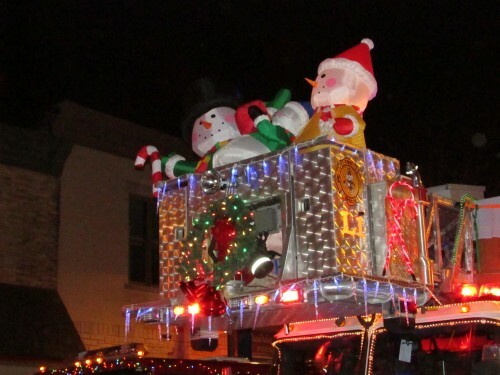 This has been a Sun Prairie tradition since 1915, and it sure is fun! 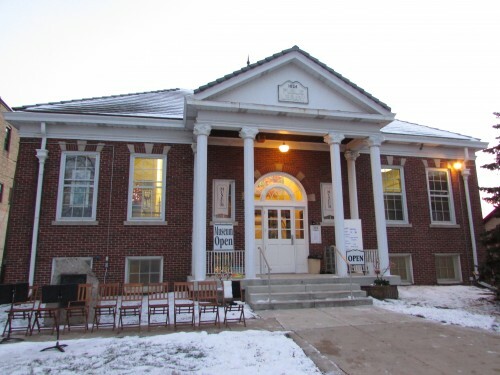 It takes place in front of the Sun Prairie Historical Museum on 115 E. Main St. This year the event began with some Christmas music played by the Sun Prairie Community Band. Then we were treated to Christmas Carols as well. The Fusion Dance Academy also danced for us. 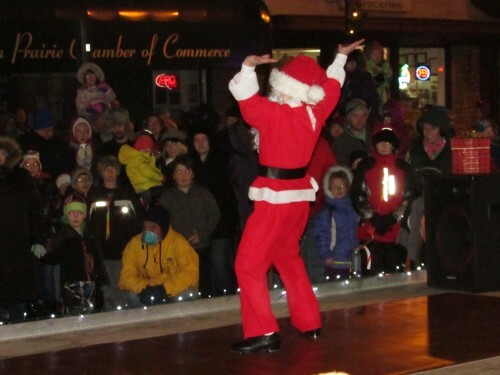 This young Santa was dancing to a Jackson 5 Christmas song. And now, for the Fire Truck Parade! Then the Grand Finale, Santa lighting the tree! 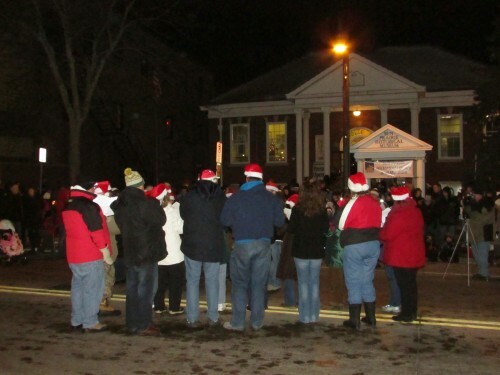 The crowd cheering, the Christmas season in Sun Prairie has officially begun! The firetrucks were waiting up ahead for everyone to see up close. They were so pretty! 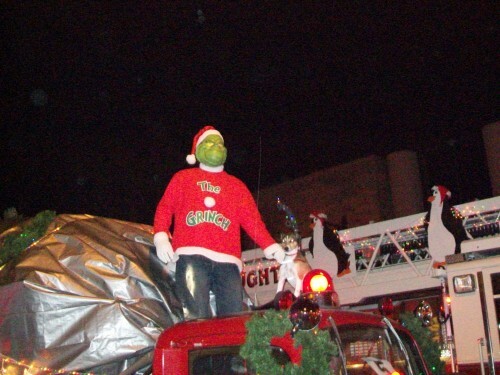 A couple of years ago the Grinch was on one of the trucks. 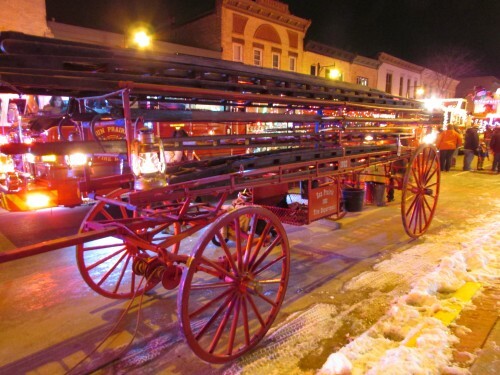 Here is a ladder wagon from 1902. Now it feels like the holiday season officially started. 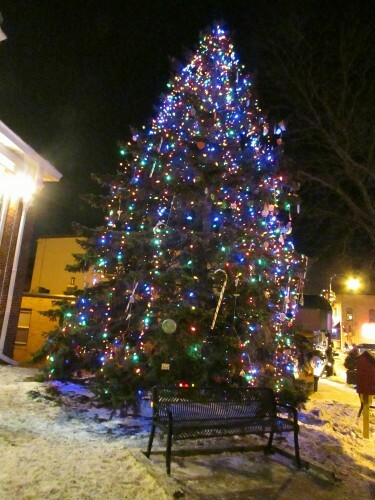 Come to Sun Prairie for a great shopping experience and a very festive atmosphere! Some of those decorations look like they take quite a bit of work! VERY nice!